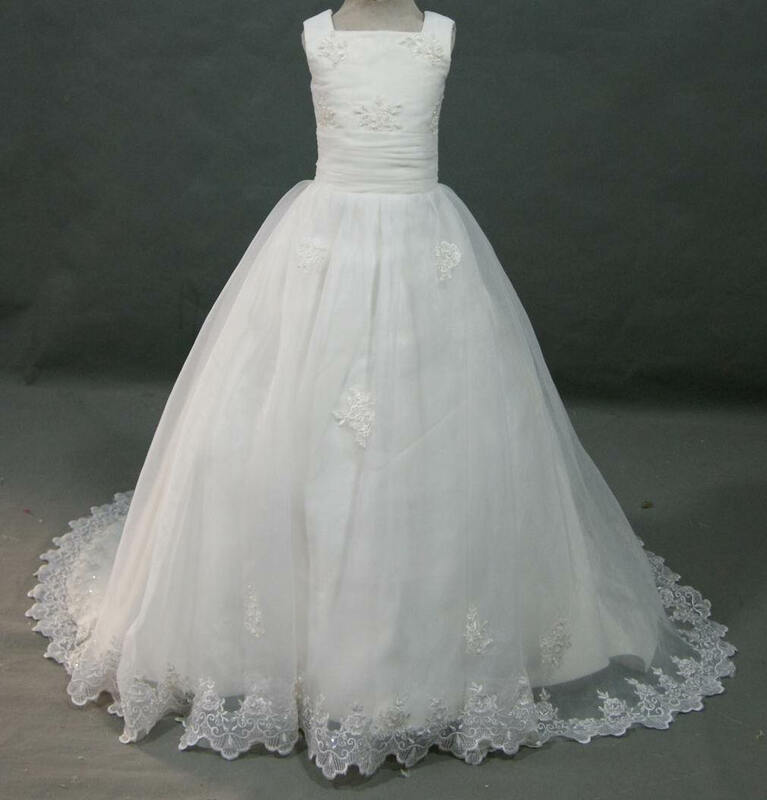 Best selling Flower girl dresses. 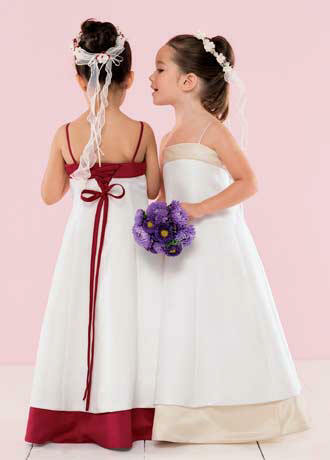 These Flower Girl Dresses are on the top of our selling list. 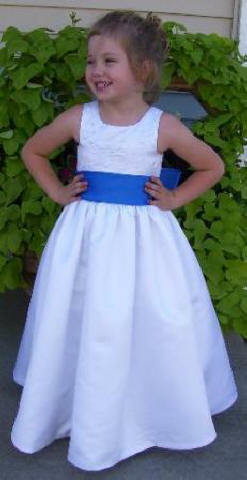 Top Selling Flower Girl Dresses, made in a variety of color choices, and worn to many special events. 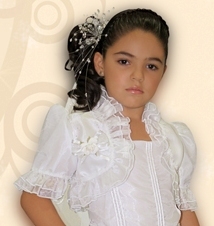 Our most popular custom made children dresses - favorite most desired children's dresses. 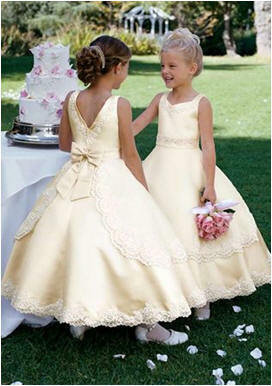 Browse tons of flower girl dresses and find the perfect flower girl dress for your little girl. Use our dress styles or yours, designed with your price range in mind for the perfect gown for your favorite flower girl. 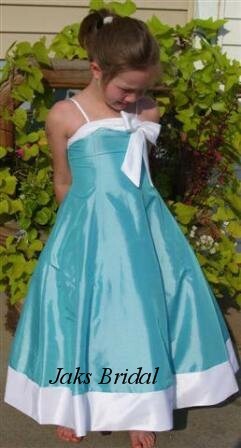 Great for Pageants, flower girls, formal occasions. Custom Sizes available for infant to Juniors. 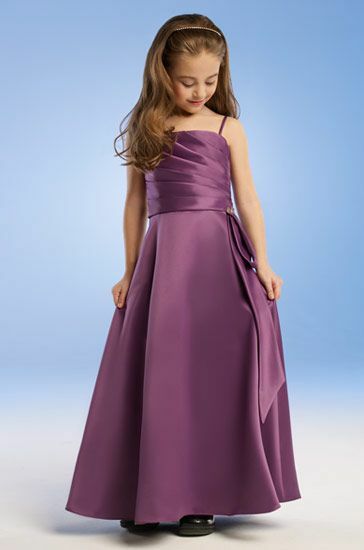 Discover the best Flower Girl Dresses in Best Sellers. Find the top 20 most popular items. 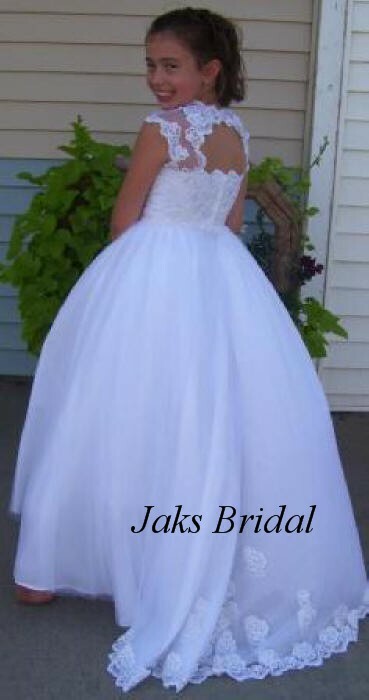 Are you interested in the hottest bargain flower girl dress styles for your big day? The selections shown below are our most popular items. 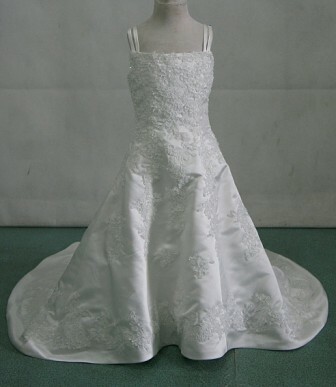 Best selling hot selling bridesmaid dresses flower girl dresses. 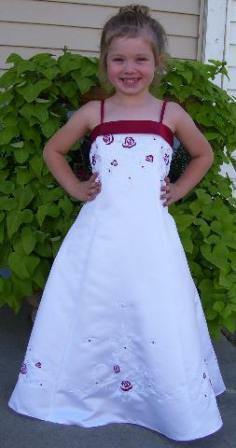 White and apple red junior bridesmaid corset dress. 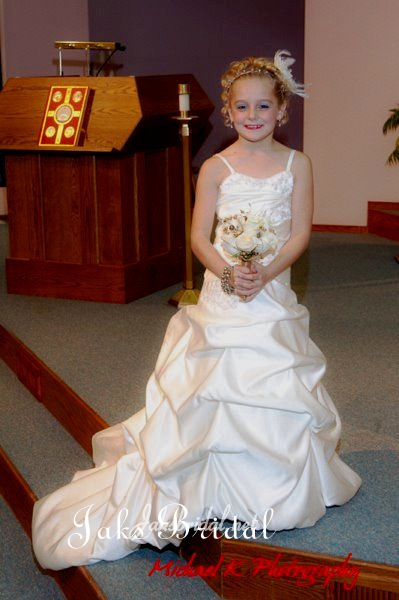 Here's one of our favorite flower girl ensembles. Sleeveless White Flower Girl Dress with Black contrasting covered buttons, bow and trim. 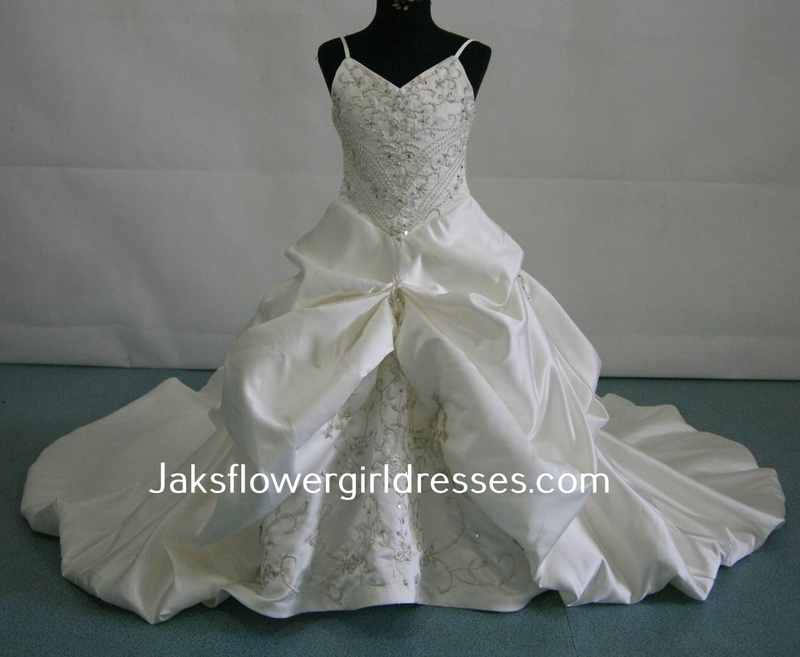 Made with appliques and train to match a bridal gown. Sleeveless satin bodice and a generous fairy tale petal skirt. Here is a gown for even the tiniest flower girl. Cute girls dress in white accented with colorful shades. Long dress style to match your wedding gown. Charming dress for the smallest member of your wedding party. Dress your flower girl like a miniature bride with a style matching your bridal gown, even the miniature train.